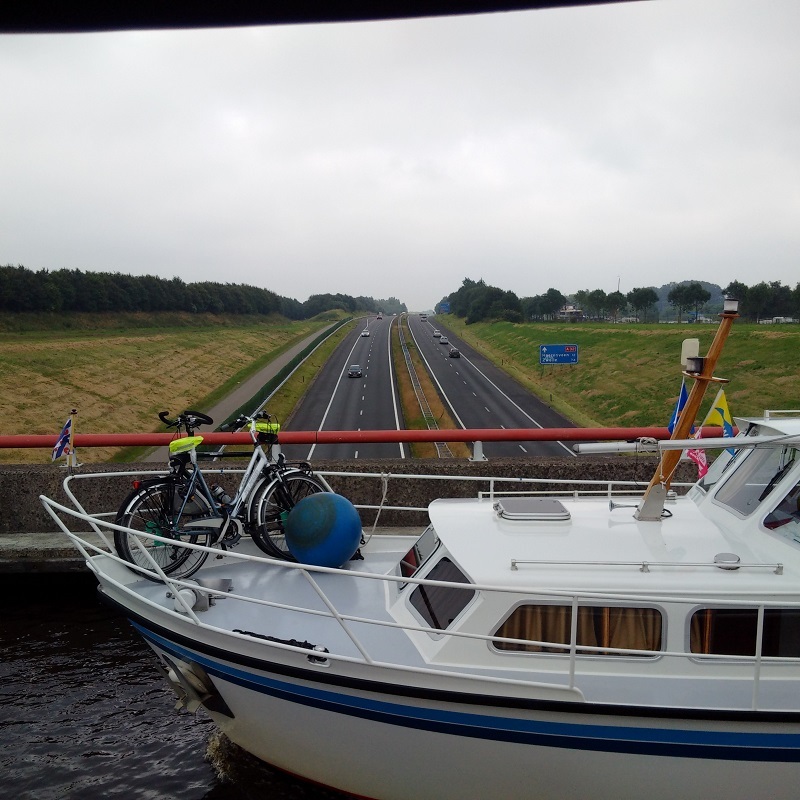 Today we first cruised across the Pik Meer and Wijde Ee and then along the Graft and Birstumerrak until navigating anti-clockwise around the Akkrum Zijlroede until we found the concrete moorings just past the Akkrum railway bridge. 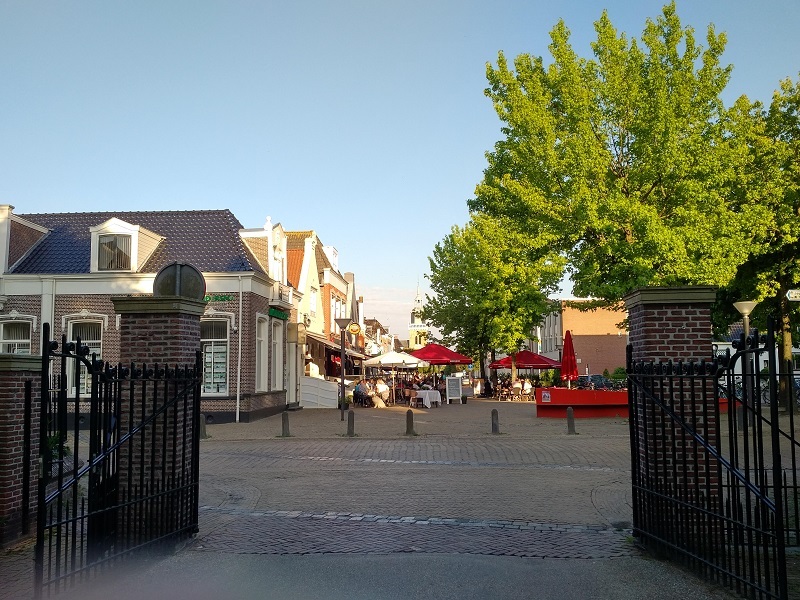 This gave us the chance to stretch our legs, and those of our dog Max, as we walked around Akkrum shopping centre where we bought some kibbling to share, and then some vegetables and groceries from local stores. It would be my advice to others who read my book, that Akkrum is just considered as a stopping off place rather than a principal venue for any sort of stay. The visitor moorings in the town are restricted to 10 metre boats only but have coin operated electricity and water. It has an excellent shopping centre and a fruit and veg stall that visits on Tuesdays and Fridays. After an hour and a half there, we boarded Lady Martina again and set off through the lifting bridge towards the Terkaplesterplassan, where the open mere was very impressive until the next bridge lifted for us to cruise across the even more impressive Goingarijpster which opened up to fill the horizon. 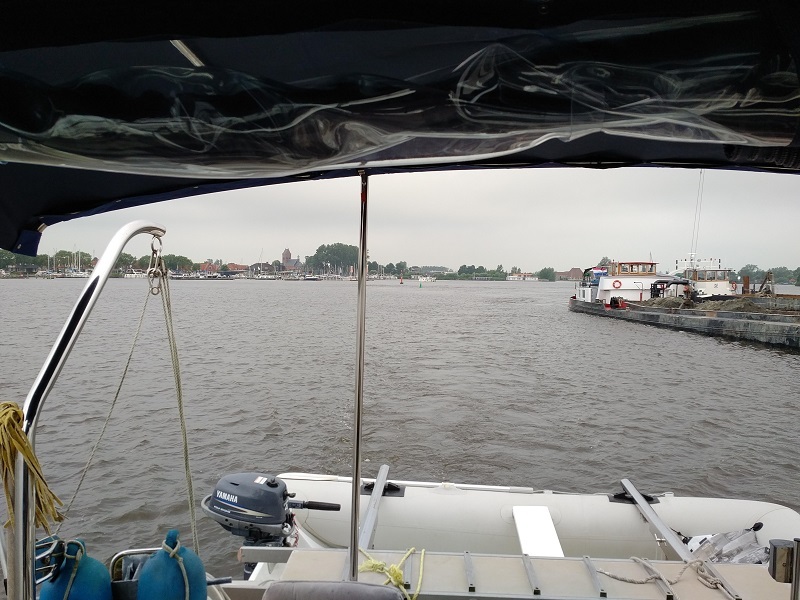 This, after which we took the Noorder Odeweg until we could turn through the Jourstersluis (which stood open) and along the Zijlroede dyke and into Joure itself. Once we arrived, I prospected all of the moorings and chose an alongside berth close to the town and found the harbourmaster’s office to pay our dues and get a Sep card topped up for some electricity. Sep cards have replaced the old Sep keys and €.50c meters at many marinas and it transpires that each of these cards (and I bought mine at Enkhuizen) can be used at up to ten different venues, with each account being preserved whilst doing so. By now, it was really quite hot and so we rested until the cool of the evening encouraged us to tour the town with Max on his lead. Joure has a wonderful shopping street with late opening on Fridays and the moated mound in the nearby park makes an excellent informal walk with its lily pads and bridges rivalling those of Monet's garden in France!